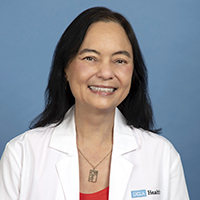 The UCLA Division of Geriatrics is proud to extend its comprehensive healthcare services with a new program that offers home-based primary care to West Los Angeles and Santa Monica residents. This program provides personalized, high-quality care for complex-needs patients with difficulty traveling to clinic visits. The UCLA Division of Geriatrics offers comprehensive outpatient and inpatient services, and works closely with other UCLA programs that strive to improve or maintain the quality of life of seniors. For further information on eligibility criteria and enrollment, or if you have any questions, please contact UCLA Geriatrics at (310) 206-8272. If you would like to support the UCLA Medical Home Visit Program, visting the giving page.